Have you ever played a game from your youth, ready to relive those glory days with rose-tinted glasses firmly in place? Ever rip those rosy specs off and throw them against the wall in a fit of rage shortly after? 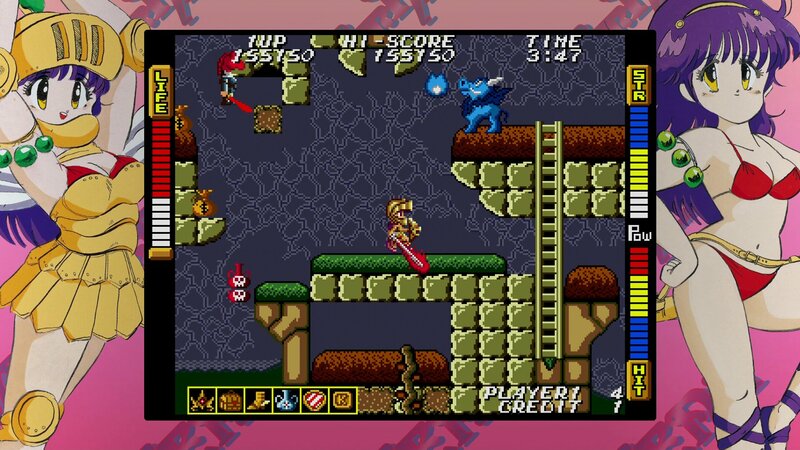 Some retro "classics" just don’t stand the test of time and others are designed to be punishing, as a result of their original goal of eating coins and keeping you playing until the studios’ next release. SNK is one of the most prolific houses in Japanese game production. Responsible for the King of Fighters – to this day the only real alternative to Street Fighter for most genre purists. The firm also gave us Metal Slug, one of the most beloved bullet hell shooter series to ever grace arcades. Its back catalogue is filled with many different flavours of retro appeal, both sweet and sour. 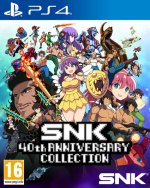 SNK 40th Anniversary Collection serves up the prolific publisher's arcade heyday, alongside a satisfying selection of extras. King of Fighters and Metal Slug, along with other favourites like Garou: Mark Of Wolves are absent, but they feature elsewhere in the studio's many retro releases. What’s immediately evident here is the care and attention Digital Eclipse has lavished on this collection. The menus are crisp and easy to navigate, with a minimalist design. The museum section is a wonderful treasure trove of design documents, potted histories, and promotional materials for every game featured. Best of all is the arcade cabinets overview, gorgeous high-res profiles of machines that helped define an era of video games. Elsewhere there are full soundtracks for every game alongside scans of each manual (remember those?). Outside of the bonus features, each game offers both arcade and console versions alongside a wealth of difficulty tweaks, and the ability to play through CRT-like screen filters. Every title performs well, with only minimal screen tearing when playing some older games at full screen. The sound is flawless, perhaps too flawless for some of the noisier titles. The coolest feature by far is the ability to watch the games be played to completion, with the option to jump straight into a playable state mid-footage. On top of the optional modifiers, this feature completely eliminates the frustration of tackling these older, unforgiving difficulties. It’s great to watch an expert blast through one of the tougher games and seamlessly transition to playing yourself – only to die instantly because oh wow are some of these things hard. The collection itself is a predictably mixed bag. Some decent, some genuinely great and a few absolute stinkers, with some bizarre curios for good measure. Highlights include the Ikari Warriors series, a top-down shooter franchise that was one of SNKs flagships back in the day. Ikari 3 really pushes the boundaries of unfair difficulty spikes, but overall it’s a strong trilogy. 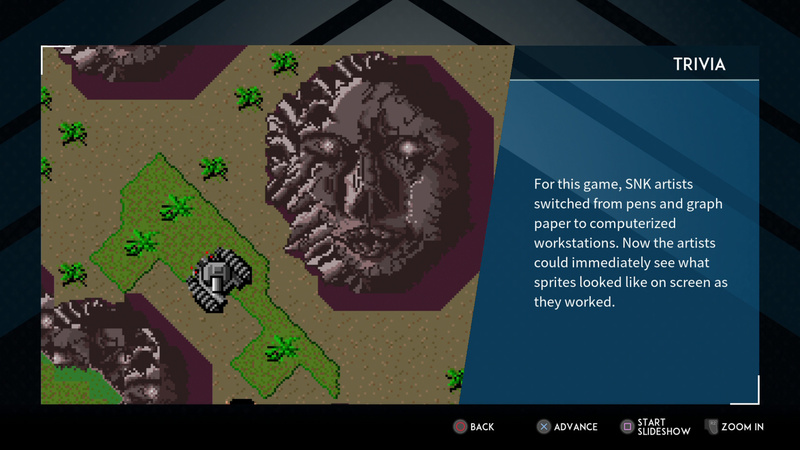 Athena and its sequel Psycho Soldier are fun side-scrollers reminiscent of Ghouls ‘n Ghosts. Notable for having a protagonist that’s not only female but a princess that dons armour to take on the forces of darkness. Crystalis is a surprisingly engaging RPG that plays like a post-apocalyptic Legend of Zelda, taking place in a world ravaged by the nuclear war of 1997. The lion's share of the collection are the scrolling shooters that were standard fare in the late 80s arcade era. These are mostly enjoyable, with the exception of the frustrating slog that is Chopper I. On the lower end of the quality spectrum is Sky Adventure, a bizarre and irritating exercise in bad sound design. Munch Mobile doesn’t really offer much besides a terrifying car with arms and eyes. Some of the older titles don’t really stand up to revisiting, but that being said, 1980's Sasuke vs Commander is oddly compelling. The vast majority of the games feel great to play thanks to tight and intuitive control mappings. Being able to use the analogue stick may seem like a no brainer, but so many retro collections don't have this feature and it makes these titles play like a dream. The shooters generally have the attack button mapped to right trigger as well, so games like addictive zombie killer Beast Busters feel natural. SNK 40th Anniversary Collection is essential for game historians and recommended for anyone that wants to experience some old-school charm without the annoying difficulty gates. The titles themselves are hit and miss, but the good outweighs the bad by a healthy amount. Ken lifts weights every day of the week to somehow justify spending the remainder of his free time playing video games, reading comic books, watching movies, and not getting nearly enough sleep. Oh yeah, this came out on Switch a while back. It's a good set in terms of the extras, historical stuff, etc. I just didn't find any of the games to be appealing at all. I wish Sega put this much effort into their Genesis collections. Bought it on Switch some months ago. I pretty much agree with this review and definitely recommend for those into old school gaming. I was around before video games even started. I have tons of loved old titles. I found watching a video hearing the sound and seeing the game a better way to experience them once again. Any time i do get a retro game out I cant seem to play over 15 minutes or so. 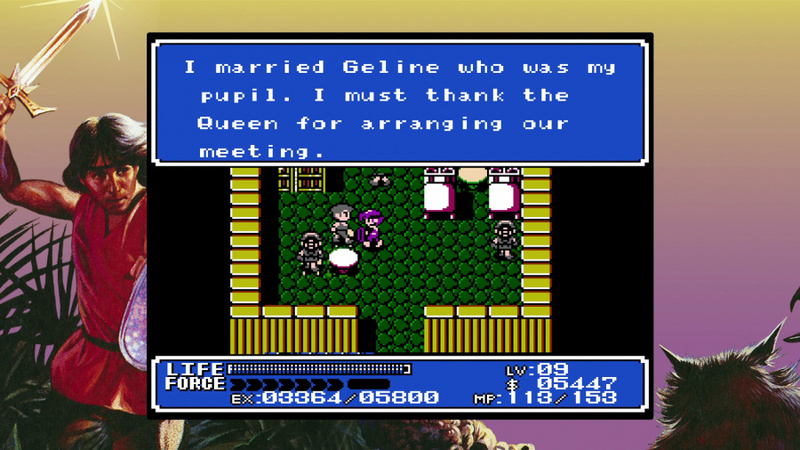 I much more enjoy old games that are remade and brought up to date. By the way, how about some NEW SNK games?! I’m ready to Playmore! That girl's face in the third image tho. Edit - Looks like the image got removed. Push Square even more prudish than Sony confirmed! @playstation1995 That's what the Neo Geo Mini is for. @jgrangervikings1 Haha nice. SNK playmore. Sony censored the box art from the Switch version - not a bikini-clad retro anime girl in sight! I have been seriously debating getting the Switch version recently - that Tate capability, though! Dang, so it IS censored and not a reversible cover. @manu0 Can I scream equality and demand equal number of bare-chested chicks and bare-chested dudes on the cover? @JohnKarnes You watch the Angry videogame Nerd? Always funny to see him go mental over a terrible old games. I don't know why the reviewer laments not having Metal Slug and Fatal Fury titles in the compilation. They are Neo Geo titles and are allocated to those compilations. Still, this compilation, while this compilation shows its age, is an awful lot of fun. 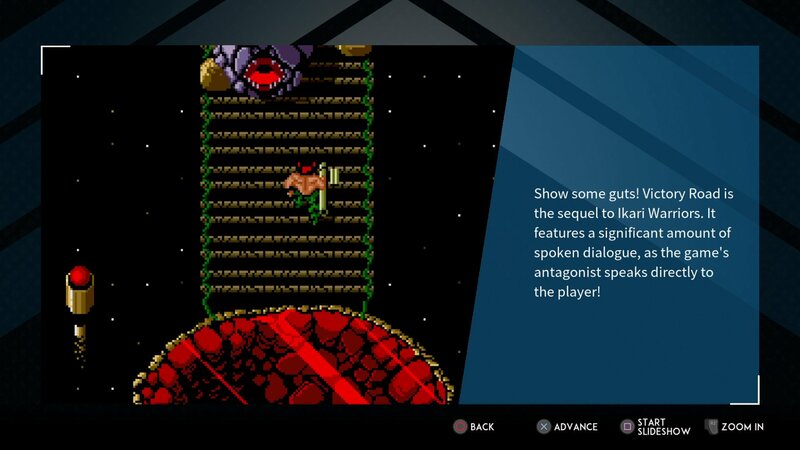 Also, you need a player two for the Ikari series and Psycho Solider otherwise it isn't as fun.